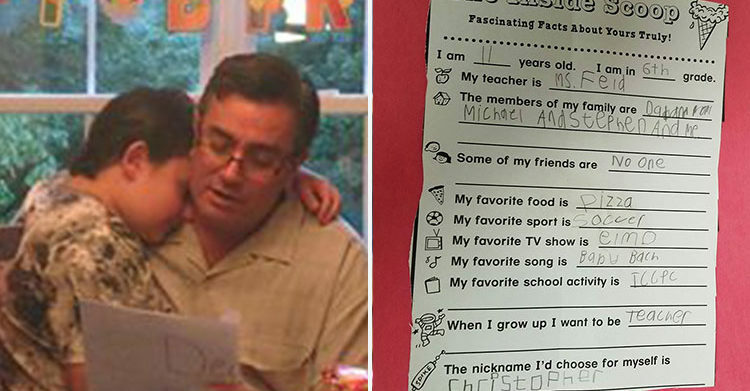 Autistic Son’s Heart-Wrenching Answer To Homework Question Has Dad In Tears. Bob Cornelius’ youngest son, Christopher, is on the autism spectrum and has always had trouble making friends. Last week at Christopher’s back-to-school night, Bob snapped a photo of his son’s latest project. 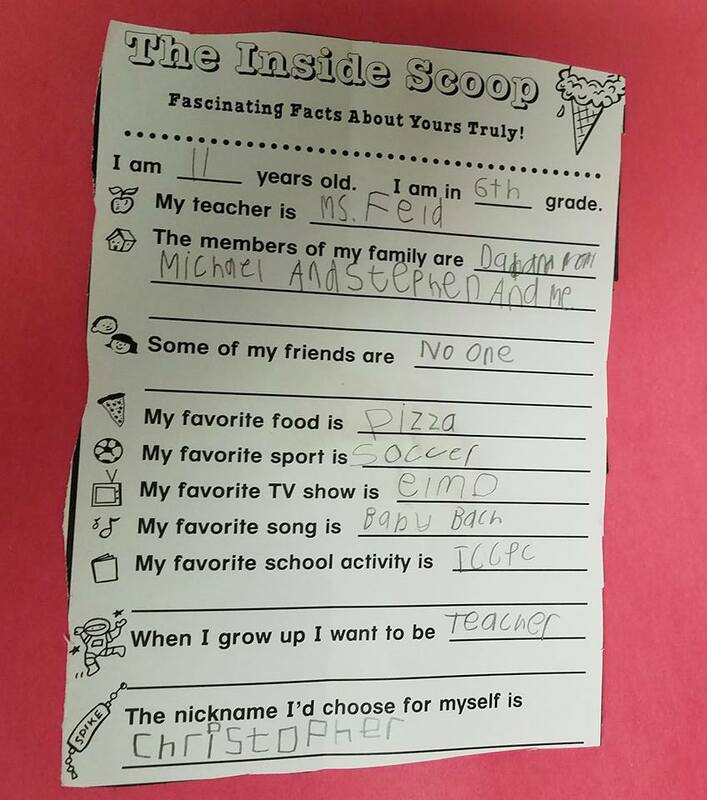 Christopher’s teacher asked the class to list a few things about themselves, but it wasn’t until Bob took a second look that his heart broke in two. As the heartbreaking truth washed over Bob, he was compelled to take to Facebook set the record straight for parents without kids on the autism spectrum. We’ve included his post in full below… we all need to take his words to heart. For those of you who don’t know, my youngest son, Christopher, is on the autistic spectrum. I went to his back to school night on Thursday and took a picture of one of his projects displayed on the wall, one of many cute little cards that all the kids in his class had filled out. It asked him to list his favorite foods, sport, TV shows etc. Because he didn’t have a friend. He’s never had a friend. Ever. He just turned eleven. And because he’s had no friends….there was no one to invite. He will be Charlie Bucket. And that child will be Christopher’s first true friend.